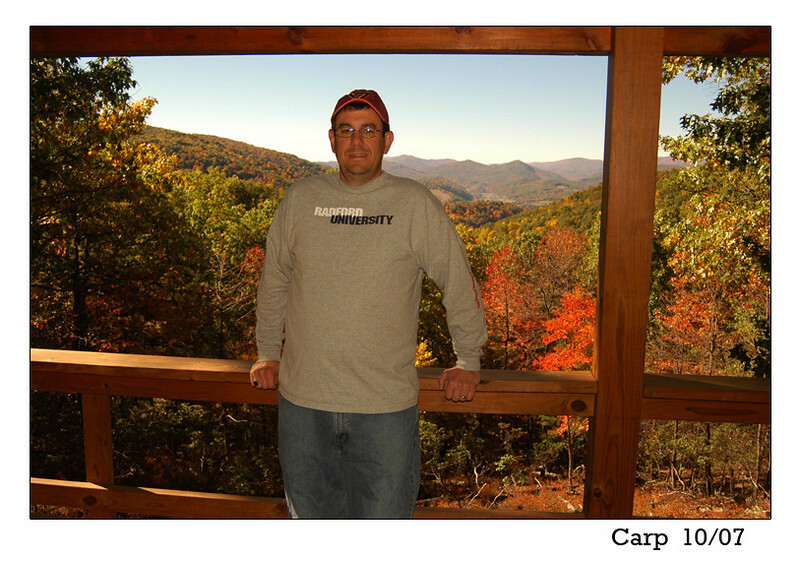 Mike Carpenter, a good friend and coworker, made the 3-hr trek from Loudoun Cnty, VA to the cabin in Oct. 2007. He and his wife Sharon had previously visited in Sept. 2005. We had a lot of laughs and enjoyed a great campfire and some favorite tunes and stories.